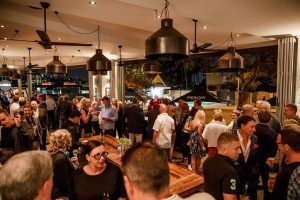 Set on Bulimba’s glittering waterfront, our modern function venue is available to hire for a wide range of events. With three separate spaces and the opportunity for exclusive venue hire, we can host functions for up to 140 guests. 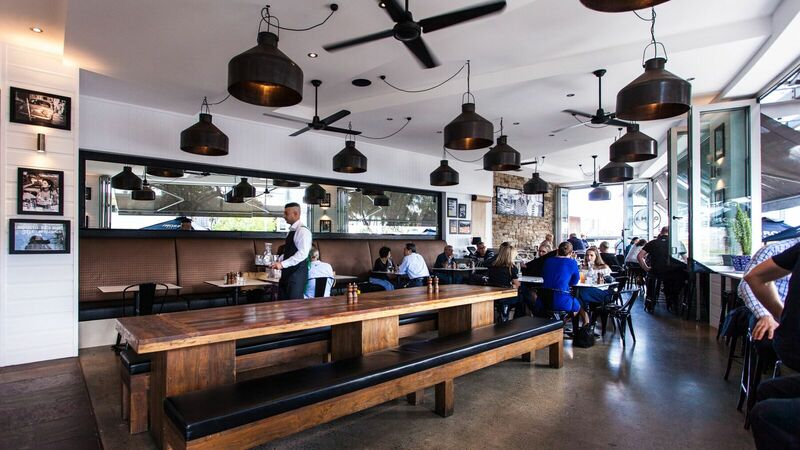 Click below to start planning your next event, or scroll down to view our function spaces. From birthday dinners to work Christmas parties, we have a selection of function spaces, menus and packages to suit your next event. Celebrate your milestone birthday party at our waterfront function venue. 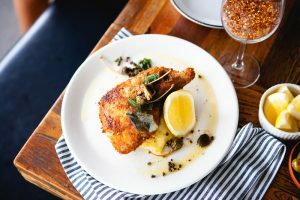 We can cater to a range of birthday party sizes including cocktail parties, birthday dinners and more. Choose from our a la carte menus or enjoy a set menu from our function packages. Celebrate the festive season with friends, family, clients and colleagues. Enquire now about our range of Christmas function packages. Host your dream wedding from our waterfront reception venue. A beautiful river side location offers a space for glamorous and intimate wedding receptions. Enquire now to start planning your wedding reception. Scroll down to view our list of function spaces available for hire. Embrace Il Molo’s superior river views with outdoor events on the restaurant deck. This al fresco space is perfect for birthdays, engagement parties, and small corporate events. Minimum spend is available on request. 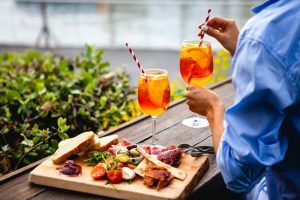 Planning a cocktail party? 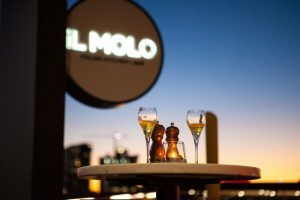 Escape to the enchanting Il Molo laneway for intimate birthday parties, after-work drinks, and small-scale corporate functions. Italian dining is all about your famiglia, so we invite guests to gather for a birthday meal at our family table. This beautiful setting offers a space for up to 16 guests, with the chance to extend your group across four tables. Take advantage of our entire space with exclusive venue hire for your next large-scale event. 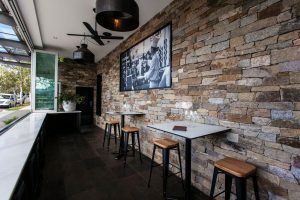 Perfect for wedding receptions, corporate events, and large black tie celebrations, you’ll enjoy private service of our bar, restaurant, and spectacular river views. Inspired by classic Italian recipes, our menu provides an immersive dining experience. 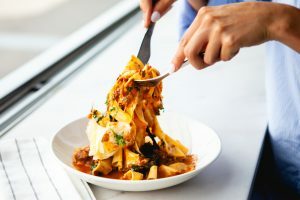 Enjoy handmade pasta, carefully curated charcuterie, and house-made sauces. Scroll down to view some ideas for your next event. Treat your guests to an intimate dining experience. Choose from our range of 2 and 3 course set menus, crafted with the freshest, seasonal ingredients. Share the love with our range of rustic dishes. 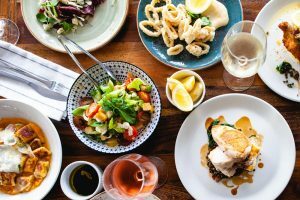 Experience Italian favourites including slow cooked meats, small plates of artisanal cheeses and house cooked pizzas. Mingle with guests as you graze on our selection of seasonal canapés inspired by Italian traditions and crafted with fresh, local ingredients. Start planning your next event at our waterfront function venue. 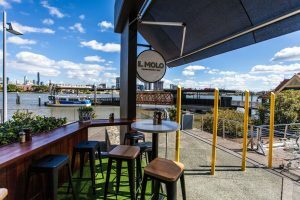 Book your next special meal, grand event, or corporate function at Il Molo, Bulimba. Ph (07) 3899 6113 or complete the form below to enquire now.